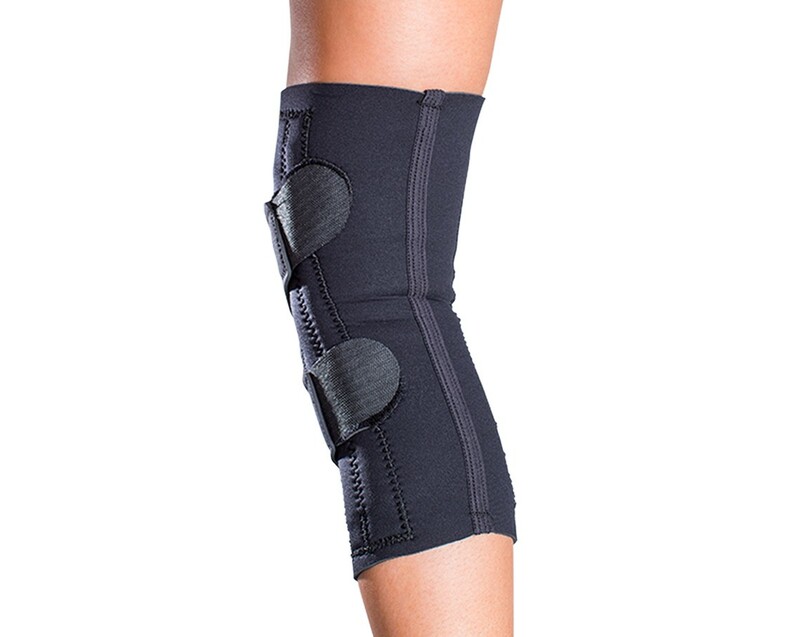 Stabilizes the kneecap to prevent dislocations and alleviate pain. Unique patented nylon core and polyester Lycra fabric, it allows for improved airflow while still giving ample support and compression. 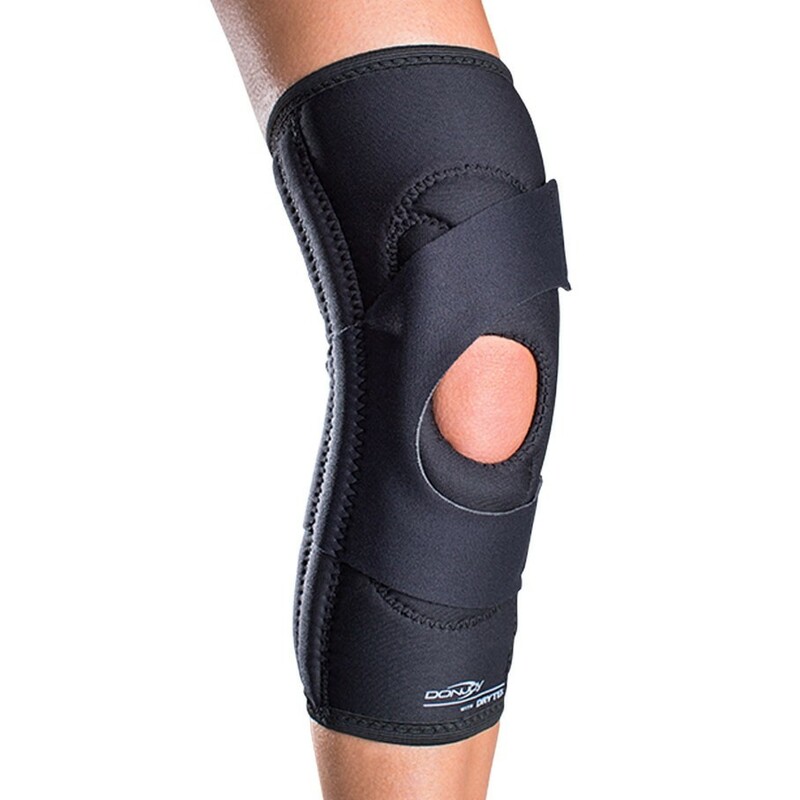 The DonJoy Lateral J knee brace is one of our most popular patella stabilizing brace. 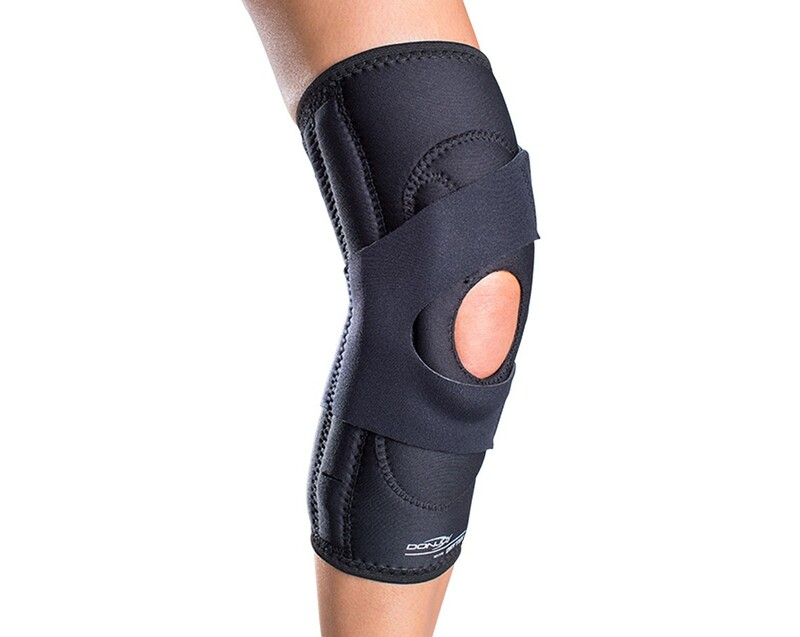 The brace is equipped with a tubular, lateral "J" buttress that runs alongside the knee and provides support against lateral patellar subluxation, dislocations, or improper patellar tracking. The Lateral J can be worn during day-to-day activities, as well as sports and in water. Drytex or Neoprene? Drytex is DonJoy's exclusive solution for patients with neoprene sensitivities or those who prefer less warmth from their bracing. Constructed of a unique patented nylon core and polyester Lycra fabric, it allows for improved airflow while still giving ample support and compression. Perfect for people in warm weather climates and those with neoprene allergies or irritations. Neoprene is a thicker material that will provide more warmth. With or Without Hinge? This brace is available with a removable hinge for added stability for an additional cost. You should order the brace with a hinge if you have joint instability. It will provide more medial and lateral support. Otherwise, you should order the brace without a hinge. This is my daughters second Donjoy J Lateral brace. She wears it for Cheer and tumbling and it has helped with her knee pain and has helped keep her knee cap in place. So far her only complaint is the Velcro straps do irritate her other leg from rubbing. Also the shipping was faster than expected even during the holidays. Cons: Velcro straps irritate the opposite leg. 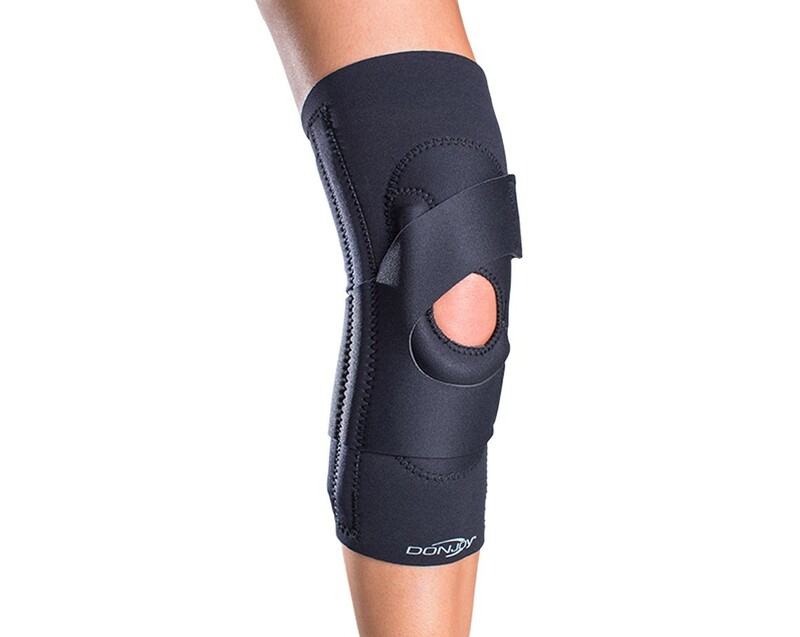 A little tight at beginning, however, the brace provides strong support for the knee. Pros: Strong support for the knee. This brace is the best I've ever owned, it's lived up to all my expectations. 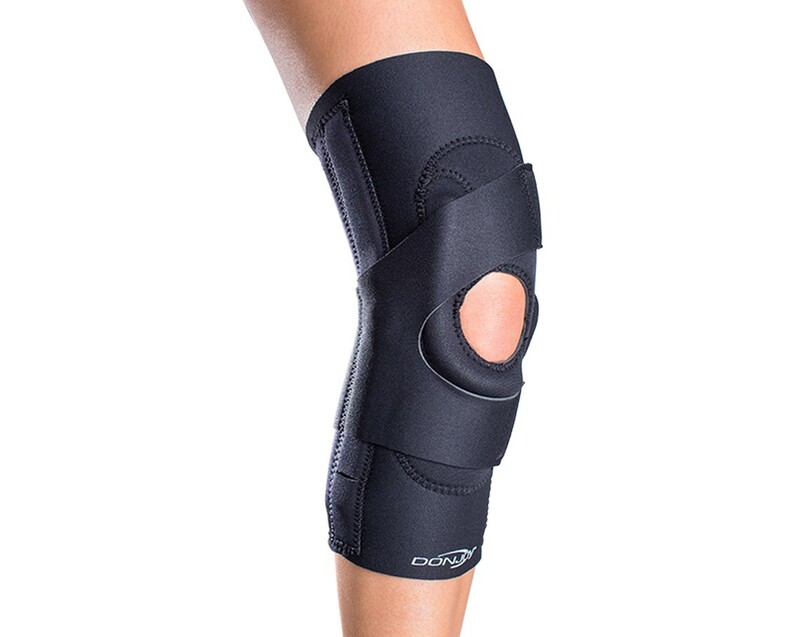 Anyone who has knee tracking problems get this brace. 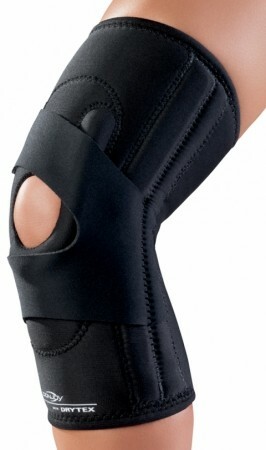 This is a wonderful knee brace. It supports the knee cap and keeps it stable. I had one previously. 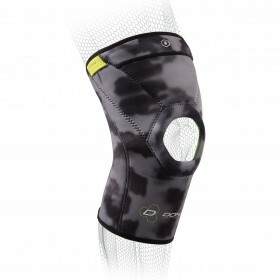 You cannot go wrong with this brace if you need to reduce the wear and tear of knee cap. These were working wonderfully for about a week until the stitching started to come undone on the left brace. Not sure what I could have done differently to have prevented this from happening - was not being rough with them. For the price I expected better quality. I have RA and was planning on using them for a lot longer. I have both material versions of this brace and I like this one better. 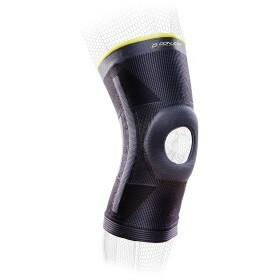 It "moves" less on my knee while playing volleyball and is much cooler. The neoprene really makes my leg sweat and this one does not. 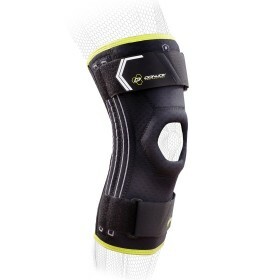 Great knee brace for its price! 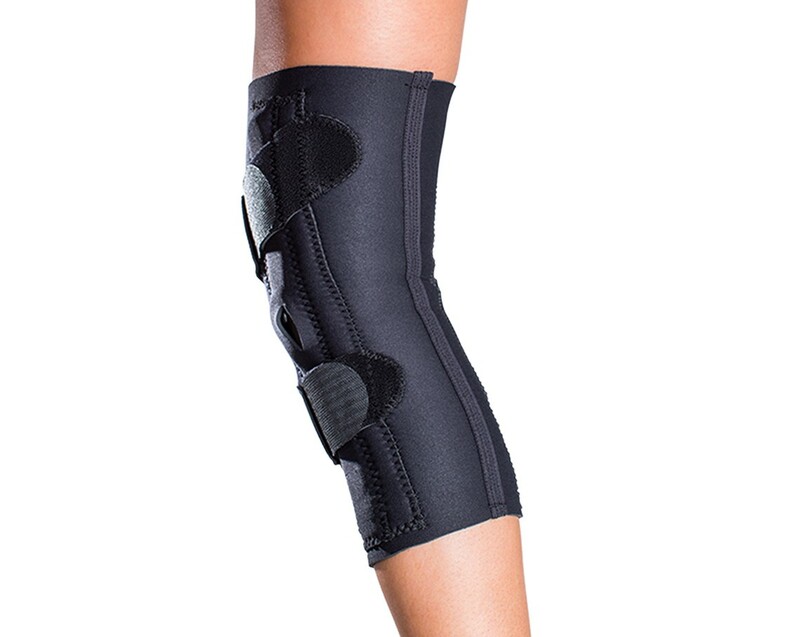 I have been using this same style brace since I first dislocated my knee cap 8 years ago. I am pretty rough on it and it holds up well. I have no problems with my knee cap as long as I wear it. I really like the fabric because the brace stays up even when it gets wet. The seam up the back is uncomfortable at times, but it is one of the few braces that I can find in this price range that stays on while I am playing sports. I've been wearing these braces on both of my knees for about a year now. My kneecaps don't track well, and they provide stability and compression. I've used both the drytex and the neoprene, and while the drytex doesn't make me as sweaty, if I'm doing anything other than standing (i.e. walking, hiking, jogging, etc. ), the drytex braces almost immediately start shifting, which makes my kneecap fall out of range of the active part of the braces. The drytex braces also stretch out pretty quickly, creating a need to buy a new brace. So I'd recommend the neoprene braces for anyone who's active at all.